Bottom Line: certainly groundbreaking and unique when it first came out, but is now seemingly overpriced and eclipsed by newer and better competitors. Probably major overkill for a lot of people too – see the end for some lesser powered and much less expensive alternative recommendations. 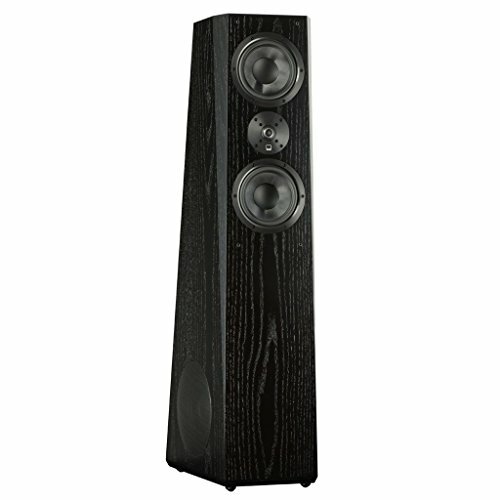 SVS’s Ultra Series is their premium home theater line up which includes an eponymous tower speaker reviewed herein. The unit is a large and powerful speaker that’s intended for use in a full fledged home theater system, and with the power specs it has it can certainly get very loud. Though the complete Ultra lineup is a 5.1 system, the tower speakers would certainly suffice independently, mainly due to the 3 way design that includes two full sized 8 inch built in subwoofers. The Ultra tower’s design is interesting and unique – to accommodate the subwoofer they’re placed on opposite sides, perpendicular to the midrange drivers and tweeter, and the back panel actually runs outward at an angle to make the bass wider. 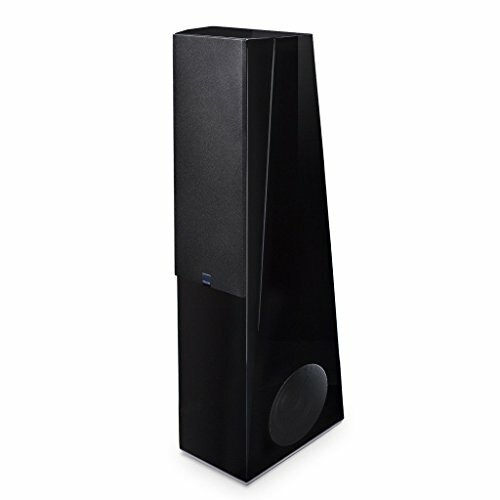 The result is a non-parallelogram shape that’s interestingly distinct from a run-of-the-mill rectangular prism that most tower speakers come in. Only one other tower speaker that we’ve reviewed uses a similar perpendicular subwoofer, and it’s definitely a novel way to build a 3-way tower speaker that can remain relatively narrow and compact. Beyond that, SVS has given great detail to the overall cabinet design – the edges are slightly rounded and the corners are tapered so as to minimize internal resonance. A theoretically perfect speaker doesn’t move at all when it produces sound, but in the real world the end-game is to minimize vibration or other such movement as much as possible. The tweeter is a 1 inch aluminum dome – pretty common design choice for higher end speakers that aim to get very loud, and thin metallic drivers are generally good for that, but might sound a bit boomy at close range/mid volume. The midrange drivers are woven glass fiber – a little fancier than more common plastic polymer and similarly stiff and light. The opposite facing subwoofers confer a unique advantage of even and consistent bass reproduction throughout a room – that might not be an issue if a system is centered at a listening point (the couch presumably), but it could definitely be a nice feature if people will potentially be all over the room. The Ultra tower comes in a sheen piano or mock wood black. All SVS passive speakers have a 5 year warranty which comparatively top of the line coverage. This was no doubt a groundbreaking speaker when it originally came out years ago, but now it’s a bit dated and somewhat expensive for what you get in our opinion. Also worth mentioning here is that Definitive Technology has since released its own “perpendicular” 3 way tower speaker that, for the same price, seems to have better design and specs in just about every way. Also really nice with the newer DT speaker is that the built in subwoofers are powered which takes some brunt off the receiver. You can check out our review of that speaker here. There’s a good chance the SVS Ultra will get discounted in the not too distant future (we’re surprised it hasn’t been already), but until then we’d say it’s overpriced for what you get. Also worth mentioning is that a speaker this powerful is going to be way overkill for a lot of people. There are similarly good standalone tower speakers for a fraction of the price that will have all the power that many people would ever need. Check out the links below for some recommendations of such.